Economists disagreeing with each other and arguing on same issues, often with extremely diametrical viewpoints couldn’t have been better than the recent debate between Jagdish Bhagwati (and Arvind Panagariya) and Amartya Sen (and Jean Dreze) and how it has turned a bit (totally an understatement) political as a proxy war between the economic model based on growth of Narendra Modi ( supposedly promoted by Bhagwati & Panagariya – their being original Gujarati is purely coincidental) and an all inclusive and more equitable growth model of Bihar (as promoted by Amratya Sen or rather his criticism of Modi’s model though for reasons other than economics). Newspapers (Shekhar Gupta) and electronic media couldn’t have got a juicier debate than this and they relished it till the last point. It was at times interesting how serious economists as these could actually talk like common people having common humane emotions such as anger, jealousy and rivalry! The origins of this debate are the books they brought out recently. While Bhagwati and Panagariya brought out “why growth matters”, Jean Dreze and Amartya Sen came out with “An uncertain glory- India and its contradictions”. 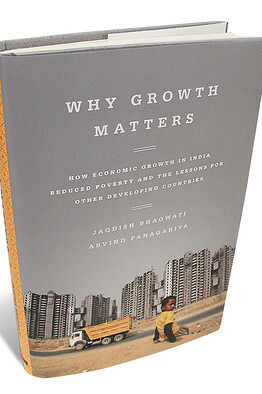 Both the books, while arguing which model works better for India, discuss the status, failures, issues and likely way out in specific sectors such as education, health care, poverty and inequality. I would like to discuss below how they have interpreted Rastriya Swasthya Bima Yojana (RSBY) and how the same scheme is made to look very different depending upon which of these two books we read. I have decided not to express my views or take on their logic and attempt here is to simply represent their view point since some of us would not have found time to read their take on RSBY. We can have a debate following from this. There’s an old saying that economists never agree. However, Bhagwati & Pangariya point out that the late Joan Robinson, a Cambridge economist and Gus Ranis, the Yale economist, were overheard astonishingly agreeing on how remarkable Korean development was! It turned out that she had North Korea in mind and he was referring to South Korea! 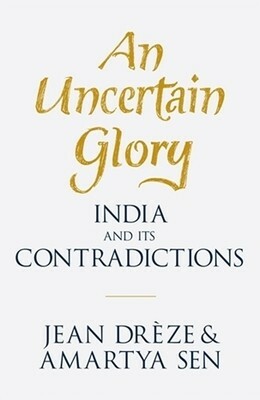 In chapter 6 titled “India’s Health Care Crises”, Dreze & Sen start by criticizing media pointing out that the coverage on essential aspects of health and health care in the mainstream media, including both – the relatively lightweight newspapers as well as most seriously engaged parts of the media, is extremely limited. They point out that except for BCG vaccine, India’s immunization rates are uniformly lower that the corresponding averages for Sub-Saharan Africa or for the least developed countries and India’s terrible record in child immunization has virtually remained unchallenged and unaddressed. They point out that the public expenditure on health in India has hovered around 1% of the GDP for most of the last two decades & that very few countries spend less than that on health care. Only 9 countries in the world have a lower ratio of public expenditure on health to GDP. India’s 1.2% today compares with 2.7.5 of China, 3.8% in Latin America and a world average of 6.5%. Further, public expenditure on health accounts for less than one third of total health expenditure. The world average is 63%, Sub-Saharan average is 45%, Least Developed Countries (LDCs) is 46% as against India’s 29%. They conclude that India has one of the most commercialized health care systems in the world. Its perhaps by default since the country’s public health care facilities are very limited and quite often in a ‘run down’ condition and in very poorly managed. While the public facilities in general are highly inefficient and disorganized, private services are virtually unregulated, leaving patients at the mercy of unscrupulous practitioners and are often victims of fraud, over-medication, exploitative pricing and unnecessary surgery. To illustrate, a recent study in Chennai points out to 47% Caesarean in private sphere as against WHO norm of 15 % (its 20% in Public sector). The opportunity to launch major initiative in health policy, associated with rapid growth in the GDP and public revenue during the last 2 decades, has been largely missed and that 1990s were largely a ‘lost decade’ for India so far as health is concerned and much of 2000s did little better. The National Rural Health Mission (NRHM) launched in 2005-06 has an expenditure of less than Rs 10000 crores during the first five years (less than 0.2% of the GDP) and far too little to make a major difference. NRHM, according to them, is a good program but can only achieve its intended objectives if there are enough resources and political commitment. Along these faltering moves towards consolidation, there are developments of a very different kind- towards even greater reliance on private provision of health care and private insurance of health risks. The authors have then described RSBY (calling it Rashtriya Swasthya Bhima Yojana (page 152)) and its features. The move towards private provision of health services, they say, not surprisingly has been welcomed by the corporate sector. They have mentioned about a Wall Street Journal article praising the “business model” that RSBY represents. RSBY is a convenient springboard for the private health insurance industry – one of the fastest growing sectors of the Indian Economy. “Efficiency issues” – market failures associated with adverse selection and moral hazard leaving the pool to ‘high risk client’ & thereby driving up premiums and alternatively, the ‘screening’ if adopted by insurance companies will go against the basic principles of equity in health care. Further the companies may indulge in ‘cream-skimming’ ie focusing on patients who can be treated at low cost and turn away the rest. While some of these issues can be tackled with strict and sophisticated regulations, it could be hard to implement and costly as things stand. “Distortion issues” – A health system based on commercial health insurance is likely to be biased against the preventive health care and more generally against non-hospitalized care. Reliance on scheme like RSBY will undermine public health service and preventive health care esp in India where a large part of the burden of ill health consists of communicable diseases or such diseases like diabetes, circulatory problems & cancer which can best be dealt with by early & pre hospitalization treatment. “Targeting issues” – the idea of government paying premium for certain target groups (such as BPL) raises all issues associated with BPL targeting since there is now a premium attached with being identified as BPL. Moreover, there are studies which point out increase in post treatment expenses under RSBY. “Equity issues” – any targeted insurance fails to meet basic norms of equity in health care – ‘exclusion errors’( in targeting), screening of potential clients by insurance companies, the obstacles (powerlessness, low education, social discrimination) and the persistence of large unsubsidized component in the health system. “Irreversibility issues”- the private health insurance industry can easily become a powerful lobby making it difficult to move away from that model if it proves ineffective. The current drift in India towards private health insurance, without developing a solid based of public health care has that problematic feature. The private health insurance model is essentially the American model, the lack of reach of which President Obama has tried hard to remedy. The US health system is one of the most costly and ineffective apart from being highly inequitable and India is likely to face same issues and confront same challenges and failures with deep rooted resistance to ‘socialized health care’ in US. The authors, while discussing on RSBY, state that health policy today is in a somewhat confused state with some positives (NRHM and more recently a move towards public provision of generic drugs) but also a steady drift towards greater reliance on private insurance (actively encouraged by the health industry) and very little clarity about the principles on which India’s future health system should be based. The authors argue that it is important to appreciate the importance of the commitment to universal coverage for all in a comprehensive vision of health care for the country as a whole. Thailand, Brazil, Mexico and China are good examples in this direction. This commitment to universal health care would require a major transformation in two respects. The first is to stop believing that India’s transition from poor health to good health could be easily achieved through private health care and insurance. The overarching objective of ensuring access to health services to all member of the community irrespective of their ability to pay is intrinsically a public responsibility and can’t be achieved by private providers. The second aspect is the need to go ‘back to basics’ as far as provision of public health services – both preventive and curative kind- is concerned with a renewed focus on primary health care. They conclude by observing that while RSBY is a humane programme and much better than leaving the poor to die or suffer from neglected health care, better results can be achieved at far less cost through early and regular health care for all. The principal plausible justification for government intervention in providing routine outpatient care stems from poverty. A large chunk of the population at the bottom of the income distribution is too poor to afford even a minimum socially acceptable level of health care. To that extent, a modern welfare state must strive to provide a minimum level of health care. The authors argue that even though India had begun to build up the primary health care infrastructure from 1960s following the recommendations of the Health Survey and Planning Committee (Mudaliar Committee), these fifty years of efforts in building the health infrastructure have not led to the provision of effective health care in rural India. Even today, no more than one-fifth of the rural patients seek routine outpatient care at the public health facilities while the remaining still depend on largely unqualified providers. Given the government’s inability to deliver the service after a half century of efforts, alternative models must be given a chance. In their view, the best course is to place the financial power to but health services in the hands of the patients; give cash transfers to the poor to meet their routine health care expenses. The government can continue to provide services but it must compete against the private providers and meet all the costs from the revenues they earn by charging the patients. Major illness which include child birth and maternity care as well as prolonged illness because of their high cost makes a perfect candidate for insurance. Group insurance will take care against the adverse selection and since the poor can’t afford the insurance premiums, the government will have to foot the bill. In their view, schemes such as RSBY are on the right track. They target the poor, cover major illness, carry significant but fiscally manageable coverage and allow private and public providers to compete for patients. They also seem scalable. The operation of several schemes (Rajiv Arogyashree in AP, Yeshasvini in Karnataka and RSBY) allows for experimentation according to local needs as well. They have further made assumption that 5% of 600 million individuals (requiring health insurance at government’s expense) ie 30 million requiring hospitalization every year and with an average hospitalization cost of Rs 10000, it comes to Rs 300 billion which as a percentage of GDP of Rs 78,779.47 billion comes to about 0.38% of GDP. (which they feel is achievable). They have criticized the “right-to-health” bandwagon’s recommendation of (High Level Expert Group appointed by the Planning Commission and recommended by National Advisory Council (NAC)) of a national health package accessible to all Indians free of charge by 2022 on the grounds of government’s ability to provide universal coverage. They also advice a cautious view of universal health coverage as a legal right. It is a distant goal as of now and such a recognition at this stage can be costly and counterproductive. Conclusion- I have great respect for all four economists. Having read both these books, I however, feel that they have started from a pre-conceived view point and have tried to justify their thinking and reinforce their model. The empirical evidence at times is either missing or weak. While the need to have greater percentage of GDP towards provision of public health care and need to put in more resources in NRHM in undeniable and should be done without any further delay, a mix of private and public provision of health care shouldn’t be ruled out completely. It is also important that country’s health care doesn’t go in the hands of private health care providers and insurance companies and the focus should remain the primary health care and preventive and curative health care by building up institutions which doesn’t has the biases which go against universal health care. RSBY is a very good scheme benefiting poorest of the poor.But lot of work need to be done. First: The Packages are impractical and quite absurd so all Good,accredited hospitals are shying away from the scheme.Some technically competent team should revise it and make it more rational.Many basic things have been neglected. Secondly: Why Taxpayer's money to be spent only on BPL population.At least Govt should try to provide APL population also the health insurance at a very less premium of RSBY platform - contributory( part or full)so that everyone is health insured.-Universal Health Insurance. Thirdly:The scheme should be made fully paperless.All medical records, also should be available real time for surveillance. Incentivize Providers implementing Electronic records to promote its adaptation.Strict Monitoring needs to be done at every stage-from Providers, to ICs,TPAs, SNAs and Center-to prevent fraud and corruption which eats away all good schemes in this country. Strict penal action should be taken against defaulters and be prosecuted. Fourthly: Incentivize good performers.There is no recognition for Providers working hard making the scheme a successful one.Incentivize Providers going for quality and accreditation in one or other form to improve the quality of healthcare. I have had the occasion to read the book. As I have indicated in the review, the book, though brilliant, suffers on two counts: The bias that Dreze obviously has for NREGA and the inability fathom the nuances of the schemes like RSBY (equating it with health insurance and its problems in the U S, precisely in the same way as HLEG in its report). Hence, both the analyses and the prescription suffer. The road-map suggested is in the form of wishful thinking instead of appreciating the ground reality. Biases are bound to creep in, but thats why people like you who can contrast them are important. I believe best health coverage is in the countries where the govt takes responsibility...scandinavian, uk, cuba come to mind, but not having studied the subject, may be not correct. India needless has miles to go.